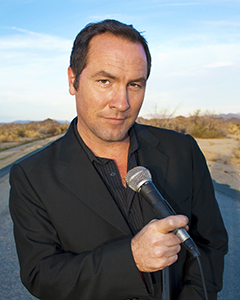 Living in Amsterdam currently hosting my own late night talk show called “Kevin Masters starring Tom Rhodes” on Dutch television’s Yorin network channel 7 airing every Tuesday at 10pm. The show is formatted to be your typical late night American talk show but what makes it unique is it’s an American experiencing and being taught Dutch culture and society and I interview Dutch celebrities including writers, politicians, rock stars and movie and TV stars. The show is a testament to how smart Dutch people are in that all of their celebrities can come on and be interviewed in English and from what I’ve been told this is the first show in The Netherlands hosted by a none Dutch speaking foreigner ever. The show is a rib-tickle and considering Holland’s progressive laws, the voice of reason in the world courts and the lack of censorship of any kind on their television and in their media it may be hard to get me to leave the land of windmills and gentle people any time soon.